Chile and Argentina's Foreign Affairs ministers, Alejandro Foxley and Jorge Taiana will be meeting in Santiago to coordinate a common position on Antarctica following on Britain's announced intention of claiming continental shelf rights off Antarctica. 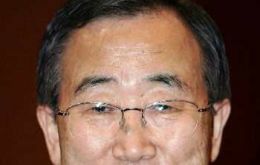 Continuing his efforts to spotlight the issue of climate change, United Nations Secretary-General Ban Ki-moon will travel to Latin America, Antarctica and Europe next week where in addition to making diplomatic contacts, he will see first-hand deforestation and other environmental problems caused by the phenomenon. 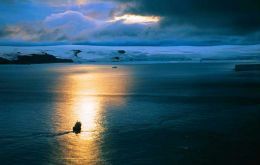 Chile confirmed Monday it will make an official presentation before the United Nations Continental Shelf Limits Commission to confirm Chile's rights off Antarctic territory following on the announcement by the Foreign Office of Britain's intentions. Chile's Foreign Ministry responded cautiously Thursday evening to reported plans by the British government to claim vast areas of sea territory around Antarctica. The UK apparently will base its claim on the UN's Law of the Sea Convention in a submission to the organization's commission on the limits of the continental shelf. 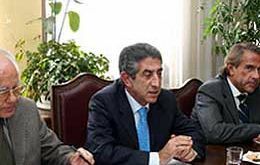 A leading Chilean member of Congress from the ruling coalition, who also sits in the Defence and Foreign Affairs committees, said that the Chilean government's reply to Britain's claims over the Antarctic seabed had been weak.